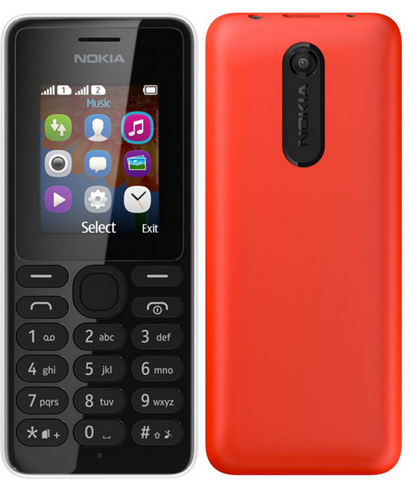 We know and Nokia also known that they have a very good grip over the cheap phones market in India and it is evident from the sales of millions of handsets of Nokia 105. So, Nokia known that in India if they can get camera and other useful specifications at cheapest price possible then they will be opted by most of the customer and the same strategy has taken Micromax and other Chinese brands ahead in the Indian Smartphone Market. Microsoft after taking over Nokia has also opted for the same common strategy to acquire the market in India. With the new Nokia 108, Nokia again offer VGA camera at a very reasonable price and that too with the Dual SIM something which we have already seen in Nokia 106 and Nokia 107. 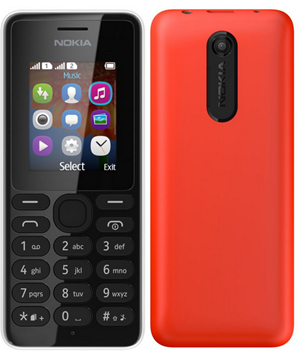 With the display size of 1.8 Inches and weighing at 70.2 grams it is like any other low budget Nokia phone which are available in the price range of 1000 to 1500 INR. It has got FM Radio and Bluetooth with SLAM technology (this technology makes the Bluetooth data transfer faster, irrespective of whether the other phone has this technology or not. This technology will help you to transfer the data in a better way as compared to the other Bluetooth transfers and it will not use the Internet Data also. This technology came up with Nokia 205). The battery strength of the device is 950 mAh which is enough you to provide the 13.8 hours of talktime and 31 days of standby. When launched, it will arrive in Red, Cyan, Black, White and Yellow. As of now there is not information about the availability of this device, so stay tuned to know more about it. Like it, good choice for users in India. I like nokia. even though there are lots of new phones that are release right now, but nothing compares to nokia. Not only it is evolving but its also users friendly.